The overhand knot is a convenient knot that should be in your repertoire. An overhand skeleton makes a quick stopper knot on the end of a rope. 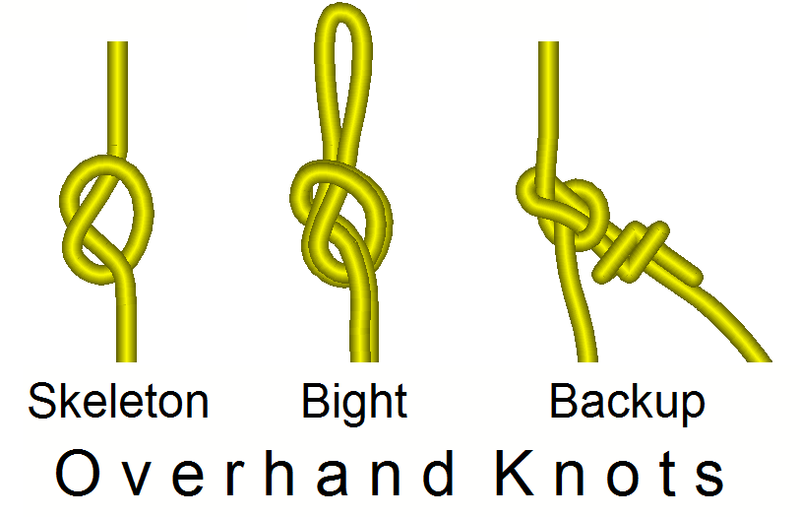 You can thread a second rope into an overhand skeleton to make a ring bend (aka a water knot when tied with webbing). An overhand on a bight creates a quick tie-in point, although it can be difficult to untie after it has been loaded. A simple overhand around another strand of rope makes a quick backup (safety) knot.